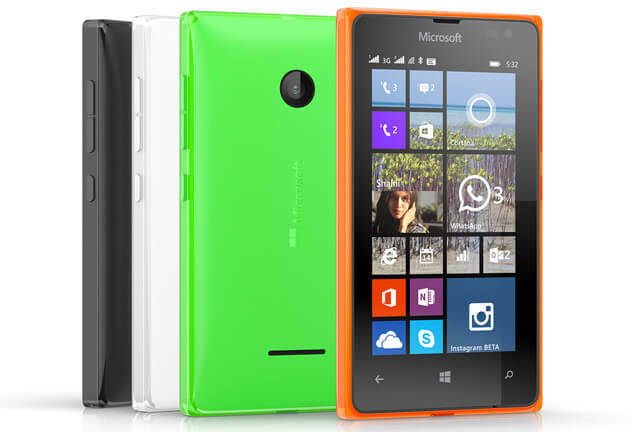 Microsoft has announced a second new Lumia this morning after the earlier announcement of the Lumia 435. The new Lumia 532 is aimed at the European, APAC and IMEA markets and sports slightly higher specifications than the Lumia 435. In fact dimension wise it is almost identical to the 435 but with some slightly more impressive features. up to 128GB with a MicroSD card. It has a 4″ WVGA screen with 800×480 resolution. The only difference to this point between the 435 and the 532 is the quad-core processor. After this, the Lumia 532 gets a little more in the way of a camera at 5MP rear facing but retains the VGA front facing camera. It also comes with the new Lumia Camera app and is running Lumia Denim out of the box so no upgrading necessary. The Lumia 532 is going to be a budget friendly price of around $93 US. Like the Lumia 435 announcement earlier this morning, Microsoft has released a video covering the Lumia 532 to give you an overview of this new device. Don’t expect to see the Lumia 532 here in the United States. At least not yet. Like the 435, the Lumia 532 could very well make it here eventually but it is very close to the price point of the Lumia 635 which is here in the US and doing quite well.